A literary scholar and translator; he participated in the Solidarity underground movement, for which he was arrested and interned. 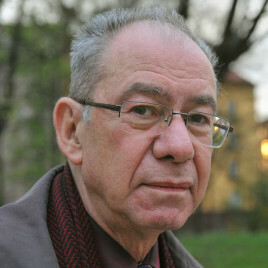 As a researcher, he specialises in contemporary Polish and Swedish literature. He is the translator of four poetry volumes of the Swedish Noble Prize winner Tomas Tranströmer. He writes both in Polish and in Swedish. The author of the books: Z perspektywy tłumacza: szkice o poezji szwedzkiej [From a Translator’s Perspective: Sketches on Swedish Poetry] (1997) and Pomysły do interpretacji: studia i szkice o literaturze polskiej [Ideas for Interpretation: Studies and Sketches on Polish Literature] (1997).